In the autumn of 1633, a trade mission heavily laden with gifts headed east from northern Germany. The great duke of Holstein was sending an ambassador to Moscow to request the czar’s permission for travel rights along the Volga River. Holstein was the northernmost tip of the Holy Roman Empire, in many ways more closely tied to Scandinavia than to their Habsburg overlords. This expedition was part of an attempt to establish an inland silk-trade route between Europe and the Orient. Such a route would eliminate the circumnavigation of Africa, shortening the trip and reducing risk. After several years and initial high hopes, it became clear that the effort was doomed to failure. Czar Michael I of Russia was enthusiastic about the project, but at the southern end of the route, the king of Persia was not so receptive. Nevertheless, the expedition did become famous for a different reason: a written account of the adventures of the diplomats. 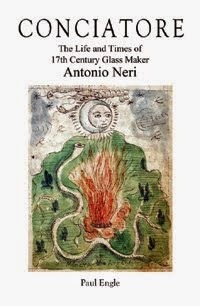 Glass is not the central theme of his adventures, yet this and related subjects are discussed in a number of different passages, giving us a unique insight into the material’s place in those societies. In August of 1634, the group arrived in Moscow. Having been granted audience with the czar, Olearius describes the procession of the entourage and enumerates a long list of the gifts they brought. Among them was “a great looking-glass, being an ell and a quarter high and half an ell broad, in an ebony frame, with boughs and fruits carv'd thereon in silver, carried by two Muscovites.”  An ‘ell’ was the northern european equivalent of a cubit or about 25 inches, so the mirror measured about 12 inches wide by 30 inches tall, not enormous by current standards, but quite an achievement in the seventeenth century. Glass workers would have to blow a large cylindrical bubble, cut it open and lay it flat on a polished marble surface. To be usable, the sheet of glass would have to be made without waves or defects and it would have to be cooled slowly, over a period of many hours in order not to form cracks. Silvering the back was a whole other ordeal performed by an artisan schooled in alchemy. While in Moscow, Olearius put on a demonstration of optics for some locals. “I shew’d them upon a wall of an obscure chamber, through a little hole I had made in the shutter of the window, by means of a piece of glass polish’d and cut for optics, all was done in the street, and men walking upon their heads: This wrought such an effect in them, that they could never after be otherwise persuaded than that I held a correspondence with the devil.”  Here he is describing a ‘camera obscura’ in which scenes from outside are projected upside-down onto the wall of a darkened room. 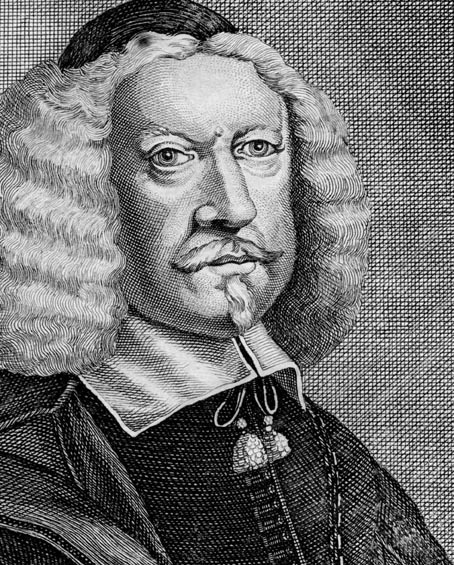 As an addendum, in later editions of Olearius’ book, the recollections of Johan Albrecht de Mandelslo (1616–1644) were added. He accompanied an unrelated trade mission to Isfahan,Persia, and then split from his group to continue touring the region. He traveled through India, and then down the African coast. In 1639, the German traveler passed through Madagascar. He commented on the inferior quality of European glass trade-beads, compared to those of India, which he acquired earlier in the trip. Much has been made of the use of glass trade-beads by Europeans around the world. In Madagascar and along the trade routes of the Indian Ocean, European traders were fairly late to the party. For a thousand years earlier,  beads had been used as the currency of choice among disparate cultures from Indonesia and China to India to Africa who did business with each other. The above quote from Mandelslo’s diary provides a fascinating firsthand account of transactions with beads. The passage also hints at the superior quality of Indian glass beads. Today, glass beadmaking continues on an industrial scale there, and the glass bracelet industry still survives, notably in Firozabad, northern India. Adam Olearius: Beschreibung der muscowitischen und persischen Reise, (Schleswig: 1647). Adam Olearius, John Davies, Johann Albrecht von Mandelslo, Philipp Crusius, Otto Brüggemann: The Voyages and Travells of the Ambassadors Sent by Frederick Duke of Holstein, to the Great Duke of Muscovy, and the King of Persia... (London: John Starkey, and Thomas Basset, 1669). Ibid, p.252. Jupiter in parvo quum cerneret æthera vitro [When Jove a heav’n of small glass did behold,] see Henry Vaughan: Silex scintillan, Hermetical physick, Thalia redivava, Translations, Pious thoughts and ejaculations. (Oxford: Clarendon Press, 1914) v. 2, p.635.